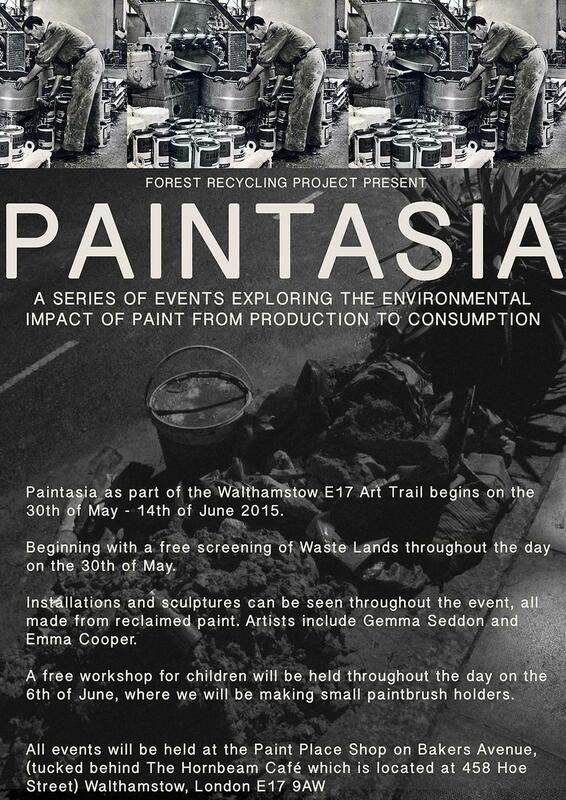 Forest Recycling Project are delighted to announce their involvement in this year’s E17 Art Trail with Paintasia. Paintasia will focus on the evolution of paint and its effect on the environment from its production to its consumption. Waste Lands on the 30th May.